Governments imposing bans on certain foods in order to protect us from ourselves is not all that unusual. From New York’s trans-fat ban to California’s ban on foie gras (which was later rescinded), the food police are a group that never seems to sleep. But coffee? Why would anyone try to ban what is arguably the most loved beverage in the universe? Believe it or not, coffee has been the subject of numerous ban attempts in the past. According to writer and comedian Emmy Blotnick, there have been no fewer than five such incidents throughout history. We appreciate that none of them actually succeeded long-term. You can take away a lot of things, but please don’t take our coffee. Knowing that a government would attempt to ban coffee is one thing, understanding why such a ban would be considered is something else entirely. Keep in mind that coffee consumption began primarily as a religious practice in Africa and the Middle East. That leads us to the first known coffee man put in place in Mecca during the early 16th century. The government at the time believed that coffee was potentially intoxicating and could lead to radical thinking that drifted outside religious norms. There were also religious concerns about coffee when it first arrived in Europe. Church leaders attempted to convince Pope Clement VIII to ban it under the auspices of protecting the church and its members. They claimed that coffee was satanic in nature. However, the pope disagreed after trying some himself. His declaration that coffee was delicious is partly credited for its widespread acceptance across Europe. Other coffee bans throughout history include a 1623 action in Constantinople by Murad IV, a mid-18th-century action in Sweden that banned both coffee and coffee paraphernalia, and a 1777 action by Prussia’s Frederick the Great. Of the five attempted coffee bans listed here, only the Prussian ban was not related to religion or health. Frederick wanted to get rid of the caffeinated beverage because he believed it got in the way of beer consumption. Sometimes, what you don’t know can kill you. That’s not the case with coffee. 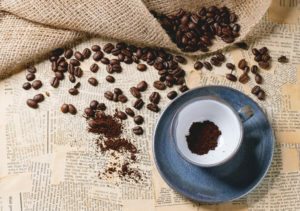 A lack of understanding about caffeine in centuries past led governments and scientists to make decisions about coffee that were totally unfounded. It’s very similar to absinthe bans of the last few centuries. Coffee is a beverage that is both delicious and good for you when consumed in moderation. So go ahead and take anything you want, except our coffee. Without stating the obvious, Galaxie Coffee loves coffee, which is why we do what we do. We serve the greater New York area with the finest coffees, teas and other beverages along with a full range of breakroom products. We will continue to do so as long as coffee remains legal in this part of the world – which should be forever. Contact us for more information about arranging coffee service for your office. Those immortal words pass through the lips of countless numbers of consumers every single morning. As the largest consumers of coffee in the world, we Americans seem to thrive on that caffeinated beverage known by dozens of different names including java, joe, wake-up juice, jitter juice and rocket fuel. And given our penchant to overdo things – think big hair in the 1980s – it would seem that we should hold the world record for the largest cup of coffee. But guess what? We don’t. The record for the largest cup of coffee in the world goes to none other than South Korea. The Guinness Book of World Records credits South Korea’s Caffee Bene with creating a gigantic mug holding 3,758 gallons of the hot beverage in 2014. You can see pictures of the cup flanked by a comparatively petite woman, whom we assume may have been a barista, just to show how big it actually is. Imagine having that coffee cup sitting on your desk at work. You would never need to take another trip to the coffee machine again. You may never sleep again either. More than 3,700 gallons of coffee would keep you going for a heck of a long time. The good folks in South Korea may have created the largest cup of hot coffee in the world, but an American company holds the world record for the largest iced coffee in the world. Their record was set in 2010 at the Mandalay Resort in Las Vegas. The Guinness Book of World Records says the GourmetGiftBaskets.com cup contained 1,500 gallons of iced coffee chilled to a delicious 45 degrees. Las Vegas is known for going big in just about everything. For them, ‘over-the-top’ isn’t a phrase that’s used sparingly. So walking down the Strip and encountering a 1,500-gallon cup of iced coffee was probably not all that unusual at the time it occurred. For the rest of us, though, that’s a lot of cold joe. Whether you are talking about the largest cup of coffee, the biggest coffee pyramid in the world or the most extensive collection of coffee pots in a single location, it’s all good. It’s all good because it’s all coffee. It’s hard to go wrong with that little brown bean that, scientifically speaking, is actually a berry. Our hats are off to the good people in South Korea and Las Vegas who saw fit to brew thousands of gallons of coffee just to set a record. They made a lot of people happy – particularly those who were fortunate enough to drink the cups dry after the records were officially set. Here at Galaxie Coffee, we don’t have a 3,700-gallon cup to offer you. 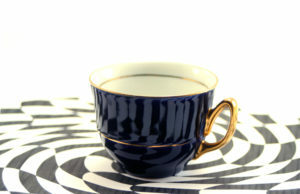 But we do have a fine selection of coffees, teas, and other beverages that we can deliver right to your office. We are happy to cover the entire greater New York area and beyond. What is the Difference Between Light and Dark Roast Coffees?